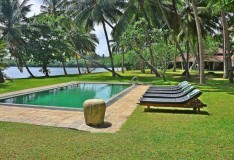 The small resort of Koggala really is a paradise in the Indian Ocean. Located in the south of the island of Sri Lanka, this tropical haven has golden stands, coconut palms, stunning Buddhist temples and the all-important traditional Sri Lankan welcome. This is a picturesque island where the pace of life has remained the same for centuries; travelling to Sri Lanka is sure to give you a wealth of wonderful memories to treasure for years to come. The winter months of December to March provide the best times to visit the south and west coasts of Sri Lanka, as this is the time when there is the least rainfall. The tropical climate means that the temperature is warm most of the year, and average highs in the high-20s and low-30s are to be expected. The surprisingly fascinating Martin Wickramasinghe Folk Art Museum is a pleasant, if unexpected draw for tourists. As its name suggests, it is the birthplace of respected author Martin Wickramasinghe and showcases a host of Sri Lanka’s cultural traditions. Koggala Lake has a collection of captivating mangroves, lagoons and islands – one hosting a Buddhist temple, another containing a cinnamon plantation – as well as a large selection of birdlife. The pristine golden strip of sand that is gently caressed by the calm, warm Indian Ocean waters is what paradise beach holidays are made of. And Koggala beach doesn’t disappoint. Take a leisurely stroll along the shoreline, find refuge beneath one of the many palm trees or simply lay back on the powdery sand and enjoy the warm sunshine and serene surroundings. 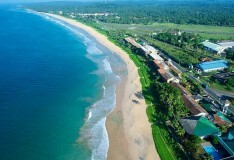 There are a host of fine dining options available in the large hotels that are scattered near the coast. With this being a thriving fishing town, many of the prawns and crabs you’ll find on your plate will have been sourced on your very doorstep. There are also some small beachfront restaurants that offer picturesque views to accompany the seafood. On your trip to Koggala, you will marvel at the authentic view of the country you’ll get to experience up-close. Seeing local fishermen, for example, perched on sticks and fishing in the traditional manner takes great skill and is a technique only practiced in this region. 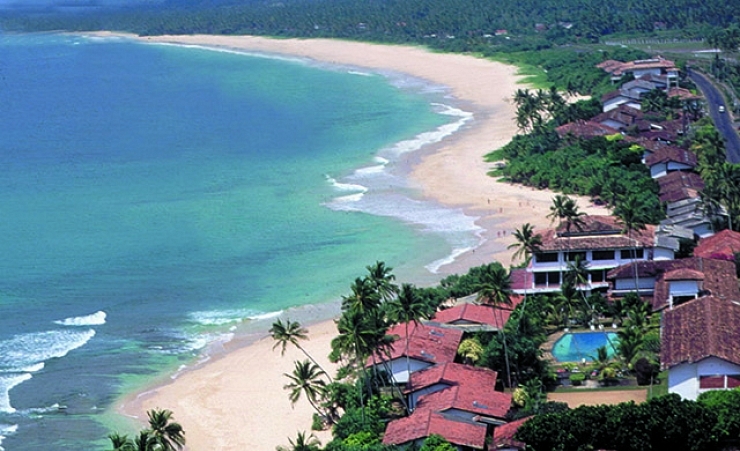 As well as stunning beaches, Koggala also has lots of other places of interest close by. Galle Fort, for example, was built by the Portuguese in the 16th Century and is designated as a UNESCO World Cultural Heritage Site. The wonderfully tranquil Koggala lagoon with its rocky islands and mangroves is bursting with exotic birdlife, so it’s well worth taking some time out to explore it. One of the islands even features a cinnamon plantation. The boat tour of Koggala Lake is perfect to see as much as possible. The turtle hatchery near Koggala is also a popular spot for visitors as they can see how newborn turtles are cared for and then released back into the ocean. If you plan to travel to other parts of the island, the Southern Rail Line connects Koggala with Colombo and other major towns. You could also hire a car and use the A2 highway to reach some of the bigger cities that are fairly nearby. When staying in town, tuk tuks provide the best way of getting around on short journeys. Sri Lanka has a typically tropical climate, temperature and humidity (approx 70%) remain high all year round, although on the coast a light coastal breeze makes this heat comfortable. Inland, the heat is significantly reduced due to the higher altitude. Rainfall is highest in May, and in Oct/Nov. The south-western coast has higher rainfall than the rest of the country, although many people find this a refreshing break, generally this occurs in the afternoon and is accompanied by thunder. The highest rainfall occurs in May (371mm) and the lowest is Feb (69mm). There is an average of 6-8 hours of sunshine per day, all year round.